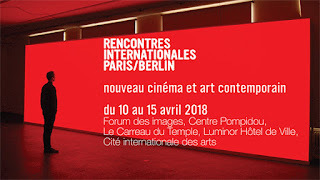 Rencontres Internationales Paris/Berlin will be held on April 10-15, 2018. You are warmly welcome to the Opening night at Forum des images on Tuesday April 10, from 7.30PM, in free entry. at Forum des images, Centre Pompidou, Le Carreau du Temple, Luminor Hôtel de Ville, and Cité internationale des arts.